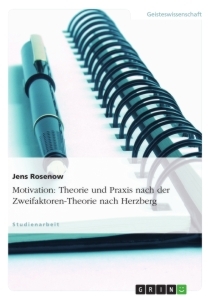 Motivation is an important research area for academics and practice area for managers. Various theories, approaches and concepts were developed to describe different forms of motivation. Today it is widely accepted that motivation is very important for managers since it is a way that leads to better work performance. 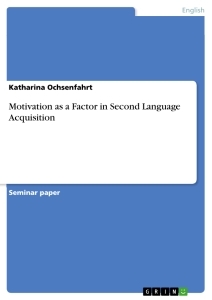 This study investigates and ranks in order of importance the motivational factors that enhance motivation in the Maltese Courts of Justice (MCOJ). Moreover, it evaluates the impact of motivation on its employees’ work performance. Both qualitative and quantitative techniques were used to collect and analyse information for this research. The data was collected from a sample of 30 employees and another sample of the MCOJ Managers. Later the responses are analysed with different methods and presented in different formats. This study compares the findings with literature and provides areas for discussions. The result is that MCOJ employees are motivated by different factors but the most influential are trust, recognition/ praise and interpersonal relationships. The impact of motivation on job performance is presented from two different perspectives: the management and the employees. These results are compared to each other where differences in opinion are revealed. At the end of the paper, the conclusion sums up all the findings and various recommendations to be implemented by the organisation are presented. Finally, the author recommends different areas where this research study can be used so that future research may reveal a better understanding of the concept of motivation and job performance. Who taught me to fight for my values and every fall in the process of achieving your dream is an opportunity to stand back up stronger. Firstly, I am thankful to God for giving me the necessary health and strength to complete this dissertation. I wish to give my honest thanks to Dr Michael Clarke, Principal of Global College Malta, for providing me with all the necessary assistance, knowledge and facilities to conduct this research. I am grateful to all the lecturers that during my period at Global College Malta shared their knowledge and experience with me and also thank them for their guidance during my studies. 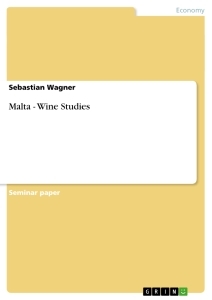 I acknowledge the Registrar of Maltese Civil Courts and Tribunals and the Management who gave me the required support and played an important role in completed this research. I thank my wife Anabelle for her support, patience love and encouragement which were definitely the base of this project. Her tolerance of my occasional moods and less time dedicated to her is a testimony of her unconditional love. Finally, I also thank my wonderful four children: Alishia Jo, Yasmaia Jo, Gabriel, and Kaya, for making me smile and hope that one day they will understand the reason why I spent so much time in front of my computer instead of playing with them. Prior to the Hawthorne Studies done by Elton Mayo, employees were only regarded as a part of the production and services chain of an organisation. This study changed this perception and established that employees are also the organisation’s primary contributors. Moreover, it stated that employees’ behaviour is affected by different individual attitudes and social needs that must be fulfilled. The concept that was previously believed, that the only concern of employees is money was also changed with Mayo’s study (Dickson 1973). These Studies also initiated the approach by the management to human relations, where the employees’ motivational necessities became an important element in managerial duties (Bedeian 1993). Efficient and highly productive employees are essential for an organisation to attain its goals. Many elements add to an organisation’s productivity, but job performance is regarded as the most important function. Job performance is considered to have four variables which are the individual’s personal abilities, the level of understanding the task, the environment and motivation (Mitchell 1982). Therefore, motivation is directly linked with action putting it as an important factor to succeed in achieving targets and goals in public or private organisations. Motivation has for a long time been an important area for research and practice for academics and managers and various theories and approaches were established to describe different forms of motivation. For motivation in public service employees, the theory named Public Service Motivation (PSM) is widely cited. This theory explains why public sector employees feel the necessity to assist the public and bond their actions to the public interest. PSM is also very significant in describing how public sector employees differ from employees in private organisation in their motivational needs (Perry & Hondeghem, 2008). Most PSM research has maintained the public service as a variable that is independent and explained its significances. But in modern research studies, factors that promote public sector’s motivation were also tackled (Perry 2000; Moynihan and Pandey 2007; Camilleri 2007; Perry and Vandenabeele 2008). Understanding the PSM theory and other general motivational studies of public service employees (Behn 1995) is important in public management research and public administration because they help to determine the motivational factors that push a public service employee to be productive despite the possibility to find more financially rewarding jobs in the private sector. A question from the book named “Big Questions of Public Management” (Behn, 1995) is how can public managers motivate their employees. A reputation that employees in the public service have is that they are lethargic and sluggish (Wright 2001). Moreover, this sector suffers from old employees, who are known that they can be very challenging to motivate. Although motivational theories are very affluent in literature a problematic issue is that they are not practical in the public sector because most of them have been based on employees in private organisations. Motivation is a constant subject that managers at the Maltese Courts of Justice (MCOJ) have to deal with, both on a personal basis and also with their subordinates due to a large amount of work and stressful environment. Managers attribute low motivation mainly to stress and claim that stress is unavoidable because they and their staff are continually interacting with the general public that is also stressed because of their personal difficulties. It is known that public entering the Court buildings are not living a problem free way of life. Moreover, most of these individuals unjustly associate Court employees as part of their problem. Managers argue that sometimes stress causes employee demotivation with the consequence of productivity loss and conflict creation. The decline in motivation often results in an increase of employees quitting their jobs. Therefore, managers apart from being motivated themselves, they must find those motivational factors that affect their teams so conflicts, absenteeism and employee turnover are minimised and productivity increases. They must ensure that targets are constantly met in a timely manner because failure will result that judgements and decrees are not enforced as required by law. This may provoke a very serious situation and the general public will be affected negatively. The study’s main aim is to give a detailed view on the motivational factors and their effect on the employees at the MCOJ. In order to achieve this, the study will investigate why an organisation needs to have a motivated workforce and will also analyse the principal motivation theories and approaches. Moreover, this study will attempt to determine and classify what precisely pushes MCOJ employees’ motivation and what are their main motivators. Finally, it the impact of motivation on job performance will be assessed. The research will help the MCOJ management to increase and enrich employees’ performance. To reach the above-mentioned aim, the research will tackle the following:  Explore why organisations need motivated employees.  Analyse the various need-based motivation theories.  Define and rank the principal factors of motivation. - Assess the influence of motivation on work performance of MCOJ employees. The second chapter explores different motivation theories and various studies conducted on them. Moreover, several studies on different motivational approaches, motivational factors and their impact on employees’ performance and organisational productivity are reviewed. This will help to acquire the knowledge on what academics and researchers have concluded and found about topics of motivation. This chapter identifies the research gap and states that although there is plenty of literature on motivation and factors that contribute to it, the research is absent in exploring this subject towards Maltese public service employees working in a Court environment. For many years the concept of motivation has been studied and described by many researchers and academics. Wade and Tavris (2008) posit that the word motivation is a derivative of the Latin word ‘to move’ and describe it as a process that helps individuals to attain personal targets by providing them purpose and will-power to reach it. In another research done by Chaudhary and Sharma (2012), it is stated that motivation derives from ‘motive’ which refers to an individual’s need and describes motivation as a management technique that uses rewards to encourage employees in reaching the organisational goals. Kleinginna and Kleinginna (1981) posits that over 140 reported and considered descriptions of motivation exist while Pinder (2008) describes motivation as forces that initiate from an individual or others around him/her that govern the behaviour and formulates its duration, route and strength, used in the procedure to achieve the organisation’s goals. Moreover, Allscheid and Cellar (1996) describe motivation as a talent that is needed to have the ability to do any job while Broussard and Garrison (2004) defined it as a characteristic that pushes an individual to do or not to do a task given. Another definition by Baron (1983) describes motivation as an amalgamation of various techniques that impact one’s behaviour in reaching its goals. According to Hislop (2003) motivation is a force that drives employees in the whole task process to satisfy their personal needs and Page (2008) defines motivation as the way adopted by someone which corresponds to his/her desire and determination to attain a goal. An old definition that still incorporates many recent definitions is the one by Russell (1971) which states that motivation contains three qualities which are the person’s internal that demands action and direction. Thus, the process of motivation can be viewed as an employee’s decisionmaking process (Aldag & Brief, 1979). Motivation stands on three pillars: Firstly, the stimulation that drives a person’s energy and instigates behaviour. Secondly, the behavioural direction that was chosen and its compatibility with the organisational goals and lastly the perseverance of one’s behaviour and how much is the will to achieve (Greenberg & Baron, 2003). Perseverance is considered to be the least important since it is basically a confirmation of the initial stimulation and direction processes. Motivation must be viewed on an individual basis since everyone is unique and is motivated in different ways. Furthermore, motivation is controlled by the employee since he/she decides when and where to take action (Mitchell, 1982). A positive side of motivation is that an employer can influence the level of motivation of an employee whereas the negative side is that the employee decides to become motivated or not (Kumar & Sharma, 2001). People can be motivated by various factors which are categorised into two main types. Intrinsic motivation: a process that occurs when an individual feels an internal need to do something (Bruce & Pepitone, 1998). Therefore this form of motivation is self-initiated like for example having a great interest in a task given. Malone and Lepper (1987) describe intrinsic motivation as a person’s action without external pressure while (Deci, 1975) posits that intrinsically motivated behaviour is when no rewards are present except the task itself. Intrinsic motivation is a very important type of motivation since it helps humans develop their intellectual, social and physical abilities (Ryan & Deci, 2000). Intrinsic rewards are also known as psychological or intangible rewards and examples of these rewards are gratitude, education, environment and power. Extrinsic motivation: it happens when something is done to get rewards or evade punishment (Deci & Ryan, 1985). This extrinsically motivated behaviour often is a consequence of pressure and low self-esteem. Examples of extrinsic rewards also known as tangible rewards are bonuses, salaries, safety, recognition and job security (Chen, et al., 1999). Despite importance given to intrinsic motivation several times individuals do not act because of intrinsic motivation, but more due to extrinsic motivation that pushes them to begin something (Ryan & Deci, 2000). Several studies have been done on motivation and job satisfaction. An example is a study done by Singh and Tiwari (2011), which concluded that a positive relationship exists between job satisfaction and motivation. Furthermore, the same results emerged in another study conducted by Ayub and Rafif (2011) on a sample of eighty bank managers. All these studies show that increase in job satisfaction impact positively on motivation. Vinokur, Jayaaratne and Chess (1994) posit that the association between motivation and job satisfaction can be due to their related factors. Factors experienced by the employees in an organisation could motivate them to give an extra effort and concurrently satisfy their needs and add to job satisfaction. Other factors found in literature like job security (Ritter & Anker, 2002), power (Hoole & Vermeulen, 2003), financial rewards (Thomson, 2003) and promotions (Moynihan & Pandey, 2007) increase motivation and work satisfaction. However, one cannot conclude that job satisfaction equals to motivation since other empirical research reported many differences between the two subjects. An employee can be very satisfied with his / her job but concurrently, there could be no motivation to give the extra effort. This is regarded as one of the difficulties experienced by public sector organisations where workers are happy with their job since it provides employment security but their motivation is very low (Wright & Davis, 2003). According to Hersey and Blanchard (1988), many different definitions exist that prove that work satisfaction and motivation are distinct from one other when measured against job performance. In a study done by Whisenand and Rush (1988) motivation is defined as a satisfaction of a need and a payout for doing a task while job satisfaction is described as a positive feeling that occurs after doing a job (Locke, 1976). A research that was done on 200 library employees on job satisfaction, motivation and organisational commitment, complicated relationships between the three variables were found. A positive association between motivation and job satisfaction was reported but in contrast, while job satisfaction and organisational commitment had a positive relationship, motivation and organisational commitment resulted in the negative (Tella, et al., 2007). Initially, the connection between job motivation and job performance seems a very straightforward one but the link between them is much more complicated than expected. It is imperative that motivation is not regarded as the sole aspect that determines performance but rather as a contributing factor (Rainey, 1993). Job Motivation is described as a factor that aids to get higher job performance and productivity (Okoye & Ezejiofor, 2013). Mansoor (2008) defines motivation as the creation of a work environment that motivates employees and drives them to deliver at a better rate. Furthermore, job motivation is vital to the organisational productivity since it motivates individuals and transforms them in high-performing employees that give a higher quality product or service (Michie, et al., 2002). Latham and Pinder (2005) continuously study matters related to motivation and constantly reassess motivation theories and research developments on needs and values. They recommend that the skill on how to learn, understand and forecast workplace motivation, can be achieved by constantly evaluating the various aspects that affect motivation in a holistic approach, rather than assessing different aspects individually. They posit that culture, job characteristics and the link between the individual and the organisation, affects motivation and eventually job performance. Thirulogasundaram and Sahu (2014) state that low motivation can create a high level of absenteeism which impacts job performance while another study by Dobre (2013) showed that absenteeism is related to employee turnover which is when employees quit their job. Job motivation is not the only factor that decides an individual’s job performance but is an influential factor (Ahlstrom & Bruton, 2009). Therefore for employees to have a high level of job performance must firstly have the job skills and knowledge required. Understanding the required steps and having the motivation to do the task are also requisites. Lastly, an employee needs the required environment/resources to initiate, complete and finish the task given (Mitchell, 1982). Motivation is an important part of the equation because if it is nil even the ablest person will not perform. On the other hand, high motivation in an employee can result in an acceptable performance in spite of having a low ability (Landy & Conte, 2007). Although some organisations argue that money spent on employee motivation is a waste, others state that resources spent on motivation are recouped back in a short time due to the greater performance by the motivated employees (Khodov, 2003). The understanding of factors that motivate employees has always been a highly studied subject. Various prominent thinkers like Aristotle, Sigmund Freud, and Abraham Maslow have focused on different motivational thoughts and theories and why an individual does things in a certain way and not in another. This section will discuss different theories that help to understand better the concept of motivation. Since it is impossible to review all the related theories, the most important needs based theories that are regularly mentioned in studies and the Public Service Motivation (PSM) theory that focuses solely on public service employees’ motivation will be analysed. In the process of analysing these different theories, motivational factors that are brought up are also reviewed because this will lead the author to a future section which is solely dedicated to motivational factors that affect employees’ motivation. Need theories also well-known as content theories are the source for many other motivational theories and approaches. These theories rotate around a person’s internal state of satisfaction and study the person’s reasons and needs that affect motivation. The hierarchy of needs (Maslow, 1943) is a motivational theory that is highly considered. The hierarchy of needs contains five levels of an individual’s basic needs which are physiological, safety, social belonging, self-esteem and self- actualizing. Maslow argues that before stepping to the next higher level a person must first satisfy the previous lower level of needs. In terms of employee motivation, a person has to work to have a source of income to be capable of having access to basic necessities like food. Employees feel that they have a feeling of security when they know that they are guaranteed their salary. Employees may feel motivated when their workplace provides them with a social environment and feel part of it and can interact with other people. Self-esteem is fulfilled when they earn respect and gratitude from their co- workers and/or superiors for their work. Others may find that they have reached their self - actualization when they enjoy doing their job and do it extremely well. Maslow believes that the five needs are essential to succeed in achieving a better performance and satisfaction. It is a fact that this model passed the test of time because although it was proposed about seventy years ago it is still relevant in today’s work environment (Rouse, 2004). Udechukwu (2009) describes Maslow's theory as the backbone of principal modern theories and approaches of motivation that boost job satisfaction and eventually performance while Koltko-Rivera (2006) posit that although an individual may never reach a higher level he/she may still reach a level of motivation and satisfaction which in certain circumstances, is greater than the level of those looking for higher needs. This theory has been adopted by a large number of organisations and has resisted various criticism. It also helps organisations to introduce specifically developed benefits that meet the individual needs, of which the result is a continuous improvement in motivation, productivity and profits (Sadri & Bowen, 2011). On the other hand, Graham and Messner (1998) are very critical to Maslow. They argue that it is a very unrealistic theory because it assumes that all employees and circumstances are the same and only one method exists to satisfy individual needs. Maslow’s theory was also explored by Gambrel and Cianci (2003) from the perspective of different job characteristics in different cultures and findings show that different cultures require different hierarchies of needs and conclude that the original Maslow’s model based in the US does not apply in China. Trying to adjust this theory in an organisation may be a tough challenge for managers because clear guidelines on how to apply it do not exist. Moreover, it “suffers from the vagueness of concept and looseness in language” (Goebel 1981, p. 811). Many believe that financial rewards are linked with the hierarchal needs of an employee and add to the overall satisfaction and also contribute to a higher level movement in the Maslow’s pyramid. But it was found that the more an employee moves up the hierarchy of needs, financial rewards become less important to him/her, and it is suggested that to manage effectively the hierarchy and increase job performance, managers should provide more intrinsic motivators than extrinsic ones (Oleson, 2004). Clayton Alderfer (1969) published a journal article named "An Empirical Test of a New Theory of Human Need" where he introduced a motivational approach known as The ERG Theory where he reworked the five hierarchy needs into three clusters which are existence, relatedness and growth. Existence agrees with the first two needs of Maslow’s which are the physiological and safety needs and are described as the basic needs for an individual’s existence. Relatedness is similar to Maslow’s social and self-esteem level where one feels a good sense of what others think about him/her and the need’s satisfaction in respect of interpersonal relationships. Finally, growth refers to the inner need for developing personally.This equates with the needs of esteem and self-actualization described by Maslow and can be achieved by doing high quality and meaningful work (Alderfer 1969). ERG Theory differs from Maslow's hierarchy of needs in three principal arguments. Firstly it states that an individual does not require to be rigid in his/her needs and can progress from one level to another without satisfying his/her present level needs and can also be at all the three levels simultaneously (Greenberg and Baron, 2003). Secondly, this theory describes that, if a person is unable to satisfy a higher level need he/she will go back to a lower level and satisfies himself/herself by increasing again the lower level needs. Lastly, there is no need to satisfy a lower level to have a relevant higher one (Ball 2013). ERG has been used as a model to analyse how internal perspectives affect certain individual’s behaviour. The needs of existence, relatedness, and growth have been used in various empirical studies in relation to job performance, job satisfaction, work relationships, esteem and leadership styles (Caulton 2012). A study by Arnolds and Boshoff (2002) investigated how esteem needs influences job performance. It was based on a survey done on 517 top level management and low ranking employees from various South African organisations. It concluded that the esteem need has a high influence on job performance in all the organisation’s levels. The study noted that top management is highly motivated by the need for growth and is influenced by career advancement opportunities. On the other spectrum front line employees are also motivated by the need for growth but their motivation develops according to their co-worker relationships while benefits and pay do not affect esteem. Despite the changes, Alderfer made to Maslow’s theory not much more empirical support was given to the ERG theory (Dunford 1992). Alderfer theory has been criticised but still remains valuable in promoting different ways of motivating employees (Greenberg & Baron 2003). The Maslow’s hierarchy of needs was again altered in a new theory developed by Douglas McGregor (1960) which he termed as Theory X and Theory Y. These two theories are described as managerial approaches that are adopted towards the employees. He states that Theory X is when managers believe that their employees are unhappy with their work so they should be forced to do it. Oppositely Theory Y is when employees look at their job in a natural way, enjoy doing it and become responsible for it (Robbins & Judge, 2008). Dunford (1992) posits that McGregor’s Theory is the linkage between managers and employee motivation. McGregor who believes in the Theory Y concept recommends that employees should take an active part in decision-making and should be empowered. Furthermore, good team relationships and creation of challenging jobs are a must (Robbins & Judge 2008). Bruce and Pepitone (1998), in their study on Theory Y, suggest that work recognition and self-satisfaction are important factors of motivation while Behn (1995) states that the work-life balance is another result of Theory Y. In contrast, Watson (1986) criticises McGregor’s theory and describes it as being “grandiose claims and vast generalisations” (p.111) although in the same work he writes that the management, can find the theory very useful to initiate the thinking process on employee’s motivation. 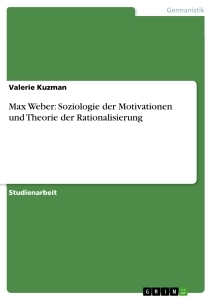 Herzberg (1968) divided motivation into two categories: the motivation factors (intrinsic) and the hygiene factors (extrinsic) and developed the philosophy of the two-factor theory. Motivation factors include achievement, recognition, responsibility, the possibility of growth, advancement and the task itself while the hygiene factors which are the equivalent of Maslow’s physiological and safety needs include the relationships with supervisors, subordinates and co- workers, the company policy, the conditions of work and salary, personal life and job security (Ruthankoon & Ogunlana, 2003). Motivation factors contribute to increasing job satisfaction while hygiene factors which are not controlled by the employee, are identified by Herzberg, as job dissatisfaction sources (Schermerhorn, et al., 2003). Herzberg (1968) argues that although the extrinsic factors reduce dissatisfaction they do not increase motivation and claims that factors initiating satisfaction differ from factors causing dissatisfaction and cannot be regarded as opposing each other but rather as two diverse needs. Therefore, improving job dissatisfaction factors such as salary, will not change an employee’s level of work satisfaction but will only avoid that he/she becomes dissatisfied (Schermerhorn, et al., 2003). Herzberg suggests that employees’ motivation is triggered by assigning challenging tasks to the employees so they become responsible (Leach & Westbrook, 2000). Moreover, they must believe that a target can be achieved before becoming motivated (Hunsaker, 2005). So, it is imperative that employees are empowered and included in decision making to achieve motivation. Although critics of Herzberg theory challenge the consistency in the methodology used, Herzberg’s model had affected many managers in their jobs (Robbins & Judge, 2008) and impacted on the development of job improvement and redesigning (Miner, 2005). PSM is a technique developed in the eighties that identifies how public and private service employees differ (Rainey, 1982). This theory was first explained in detail by Perry and Wise (1990) where they defined PSM as a concept that identifies the employee motivators in public service organisations. This type of motivation for public service is accepted and various studies helped to understand better how PSM is applied. Early research was to show that PSM exists and that public sector employees, unlike the private sector employees, are highly motivated by intrinsic rewards rather than extrinsic ones (Wright, 2008). PSM was previously described to be connected only to altruistic motives because studies on one’s type and level of PSM and its effect on job performance was very scarce but Perry’s research aided in understanding the possibility of other personal motives that may exist (Wright, 2008). Perry and Wise (1990) developed a measure that was very helpful in PSM research, called the PSM scale. This scale consists of 24 items categorised in three dimensions that according to Perry (1996) attract individuals to work in the public service (Wright, 1998). - Attraction to the making of public policy which suggests that individuals are attracted to this dimension in order satisfy their power needs and get a feeling of self-importance by involving themselves in providing benefits to other people. - The desire to serve the public which is when an individual feels that he/she must contribute something back to the society. - Self-sacrifice / Affective is the dimension that is influenced by the emotion of giving support to others. Motivational factors like training, interpersonal relationships, challenging jobs, empowerment and rewards are amongst the motives that are supported by PSM (Paarlberg, et al., 2009). Furthermore, recognition is also regarded as a strong motivational factor in public organisations (Anderfuhren-Biget, et al., 2010). The main conviction in PSM is that there is a higher probability that PSM is found in employees working with governmental organisations due to their environment. Until now this seems to be true because various studies concerning the relationship between PSM and several subjects like the type of work, organisation and different jurisdictions proved that the highest PSM is found in public service employees (Wright & Grant, 2010). There is a lack of clarity if PSM has any influence on job performance and which job types attract individuals to work in the public service (Wright & Grant, 2010). Furthermore, limited research has provided action-based results that can be applied by human resources managers and it is suggested that more studies are needed to identify PSM practices (Ritz, et al., 2012). Although many research studies use the Perry scale, there is still no agreement on its accuracy (Wright & Grant, 2010). Vandenabeele (2008) suggests that further dimension additions are required because European public institutions and their employees have different values and principles from American ones. Consequently, other dimensions were included by academics when studying different countries to reflect the different working contexts (Giauque, et al., 2011). Motivating employees is a challenge for every manager and it is essential to be able to identify the most important motivators to frame a strategy for attaining organisational goals (Bowen & Radhakrishna, 1991). Furthermore, it is important to keep in mind that not all employees are motivated equally by the same motivators (Beatty, 1994). The literature is affluent and exposes a variety of motivational factors (Durant, et al., 2006) but in this section, it was opted to focus on the factors mentioned directly or indirectly in the previous sections. A research study done by Kovach (1987), produced a list of motivational factors where interesting work was the highest motivator followed by work appreciation and participation. Harpaz (1990) concluded that the most important factor was meaningful work while good pay and security rank second and third respectively. A descriptive study on factors that affect motivation done by Lindner (1998) on 25 research centre employees, provided the this ranked list of motivational factors. A research conducted in a similar environment to this study was done on the Austrian public service where job security, meaningful work, independence at work and work-life-balance were classified as the most important motivational factors for public service employees. (Egger-Peitler, et al., 2007). Recognition and Praise are effective tools that affect positively employees’ motivation since they like to be valued and recognised when performing a good task (Sirota, et al., 2006). Güngör (2011) posits that when an employee is recognised for a completed job and appreciated for the effort given, the tendency is that he/she works harder and performs better. Moreover this appreciation and praise feeling from superiors, apart from pushing an employee to perform better it also results in higher organisational productivity (Hamjah, et al., 2011). Training is regarded as a highly intrinsic motivational factor and the implementation of training strategies is essential to offer employees an opportunity to develop and broaden their skills (Parvin & Kabir, 2011) and also to gain an organisational competitive advantage (Hunjra, et al., 2010). It is claimed that there is a large difference gap in the level of motivation between trained and untrained employees (Abdulla, et al., 2011). Furthermore, a trained employee is more likely to progress in his/her career and think positively about his/her organisation (Parvin & Kabir, 2011). Meaningful work is considered as a motivator by (Behn, 1995) while Chalofsky and Krishna (2009) describe it is a way of life and a combination of an individual’s persistence, values, relationships and activities. Kumar & Sharma (2001) define meaningful work as the process of “doing something worthwhile” (p.618) while satisfying the self-esteem need. These concepts as inspiring factors that support the feeling of being part of something and pushes an employee to take action in the best interest of the team or organisation although no personal advantage is gained. Furthermore, he states that encouraging feelings of relatedness and commitment will satisfy the higher needs of a person (Trottier, et al., 2008). If there is no challenge employees may feel that there is no appreciation for their skill. On the other hand, if the given tasks are too challenging for them they may become less motivated because they may feel that they do not possess the required skills to accomplish. A research by Danner and Lonky (1981) resulted that challenge is motivated by intrinsic needs. Therefore any job given must be challenging to enhance the employee’s intrinsic motivation. Participation is when people in the same workplace are consulted on subjects that are related to their job. When lower level employees have the opportunity to influence managerial decisions it makes them feel part of the organisation and promotes trust in them. Moreover, they feel that they are able and competent in their job (Gagné & Deci, 2005). In an organisation where participation is supported, managers are known to have the necessary skills to look at things from an employee’s point of view and are capable of encouraging and promoting self- initiation (Gagné & Deci, 2005). Employee participation improves motivation, job satisfaction and performance by power sharing responsibility and similar to what Herzberg theory suggests, the intrinsic factor of responsibility increases job satisfaction and is linked to other factors like interpersonal relationships and recognition (Lai, 2011). Various studies demonstrated that monetary rewards are significant motivators that affect positively employee’s productivity (Locke, et al., 1980). In another study that analysed motivation and job productivity, it was concluded that financial rewarding is the most effective factor in productivity (Guzzo, et al., 1985). But disregarding other factors could lead to difficulties (Edlund & Nilsson, 2007) and should not be used as the only technique to measure employee’s motivation (Kovach, 1987).Furthermore, long-term productivity is not affected by monetary rewards (Whitley, 2002). In recent years the work-life balance has become more important and new practices are being applied due to the new scenarios at home and the workplace. Some examples are reduced hours working schedules, flexible working hours and child care opportunity measures. All of these have increased the positive attitudes and behaviours of employees towards their organisations (Beauregard & Henry, 2009) and are having a positive effect on employees’ extrinsic motivation (Gagné & Deci, 2005). Career development opportunities are regarded as a motivator that offers the opportunity to satisfy the human-growth needs. Newly Promoted employees that are given higher responsibility work become highly motivated. Furthermore, motivation can be increased if employees are given support, recognition and resources in their new roles (Jurgensen, 1978). Employees look at career advancement as their most important achievement and when it happens they feel highly satisfied (Turkyilmaz, et al., 2011). According to Bushra, Usman and Asvir (2011) when esteem needs of individuals like status are met, they become more satisfied with their jobs. 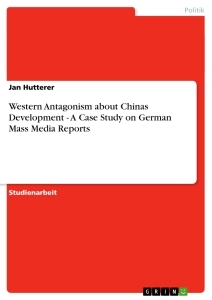 Moreover, Herzberg, (1968) theory posits that when the need for power is fulfilled they also become satisfied. The physical environment which is the workplace layout affects positively employee behaviour which results in better productivity (Baer, et al., 2003). Schermerhorn, Hunt and Osborn (2003) argue that today’s physical environment must reflect the technology advancements. Physical workplace designs must be built according to the employees’ and organisational needs to gain maximum organisational productivity and employee satisfaction needs (Stallworth & Kleiner, 1996).